About the property Our 3 bedroom house is located in a quiet, no thru street with off street parking and 10 minutes from the CBD - see house plan photo for layout . The Kingsmeadows shopping centre with major supermarkets and a variety of stores is only a 3 minute drive or 1/2 hour walk . IGA and another local grocery store are very close by . Busses run to and from the city from nearby . There is a main living room , dining , kitchen and seperate laundry . An additional living area is located out the back with an eight ball table , lounge , another Tv , bar area etc . There is also a garage available for some storage if needed . We are looking for someone who is aged 20-30 years that studies or works around the Launceston area. You'll be living with one guy (22) and girl (21) who both work/study and are super chilled ,friendly and like to keep the place clean and tidy. We are looking for someone who is happy for at least 12 months accomodation, but we may consider short term of at least 3 months. Your bedroom features a built in cupboard and you can supply what else you need to make it feel like home. The remainder of the house is fully furnished and includes all white goods. There is a professional cleaner once a month to clean floors and bathrooms etc which is included in the rent. If you are interested in sharing this lovely home please contact the owner Anne with some details about yourself, or if you have any questions . *Rent is $120 a week and includes unlimited NBN. *Bond is $480. *Heating and cooling with heat pump and wood fire. *No pets sorry. Laid back. Close to public transport. Close to local shop. 10 minutes drive to supermarkets and pubs. Includes internet. Netflix. Built in wardrobe. Secured yard. Great neighbours. Quiet area. House is fully furnished (the bedroom can be furnished or unfurnished). Will have a spare room for family/visitors. Loungeroom has a playstation 4 for gaming or watching Netflix/Stan. Will need to pass realestate application before moving in. I will share more photo's of the property to the right prospective applicant due to my rental agreement. The property is 5 minutes walk to LGH. It is an executive residence, refurbished cottage in the front and modern new extension in the back. Gas water heating, stove and built in bbq and bi fold doors that open to the small courtyard All smeg appliances and integrated fridge. Furniture decor and styling done beautifally with gorgeous pieces such as a plush soft velvet couch. Beautiful super modern touches everywhere. It really is a gorgeous and grown up place to live. You won't complain... trust me! It is a fully furnished property so you will only need a suitcase and that's it. There are two bedrooms and two bathrooms. The downstairs bedroom (will be yours) and you will have the downstairs bathroom to yourself. I will be upstairs therefore we will have privacy from one another. We have 3 rooms available in this beautiful sharehouse with a great view. About the rooms:(Refer to floor plan) Bedroom 3: Great size room that comes with a great private balcony and 2 built-in robes. The balcony receives all day sun and has a good view. Bedroom 4: large enough to have a sitting area, also features a bay window and beautiful private balcony wrap around it, which receives all day sun. Bedroom 2: great standard room with 2 built-in robes. About the house Located at the end of French Street, Launceston. 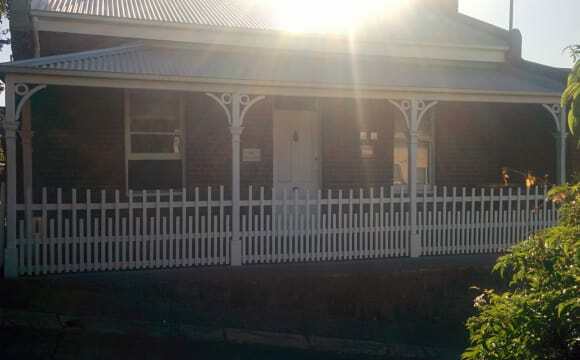 2 minutes walk to the Launceston General Hospital, 5 minutes walk to Charles street cafe area. Parking: Off street and plenty of free parking on the street. Dishwasher, washing machine and heaters are provided. Rent: Bedroom 3 and 4(large rooms): 160per week for a year lease 175per week for a 6months lease 199per week for a 3months lease Bedroom 2: 110per week for a year lease 130per week for a 6month lease 150per week for a 3month lease 4weeks bond required. Bills are excluded and spilt among the numbers of people. 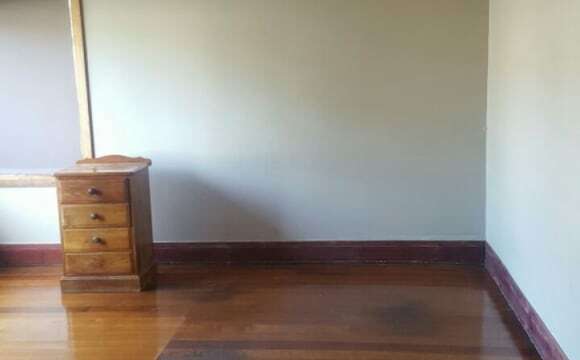 +$50 pw for couple in a room Room can be furnished with a bed, a chair , a desk and wardrobe for a one off $100 Can’t support social security document. About us: I am in my late 20s, work in architecture design and just moved into this house. I recently relocated from Melbourne and work most of the time. I love cooking, the outdoors and plants. I look forward to making this place more of a home. Zac, in early 20s works in retail, lives in the 'living room' and enjoys occasional board games. Rooms available now and please feel free to contact me for inspections. Our housemate scored a new job in Stanley and will be leaving us in a few weeks, so we are looking for a great new friend to replace her. Ideally, we are looking for someone aged 24-35 who is a professional working in town but we may consider others if they are the right fit. You'll be living with one guy and gal who are quiet and super friendly and like to keep the place clean and tidy. We are looking for someone who is staying long term who is looking to make the place a home for themselves but we may consider short term of at least 3 months for the right person. This is our home, cleanliness, privacy, safety and respect are very important to us. You will be expected to clean up after yourself. The main kitchen area is always cleaned immediately on use, so if you are the type to make a pile of dirty dishes, that won’t fly around here, the rest of the house is cleaned as needed. After having a bad housemate in the past we are very picky about who we will accept. If you are interested in meeting us and viewing the place, please send a message with a couple of paragraphs with some details about yourself. Down to business: *Rent is $160 a week this includes all the bills. *Bond is $450. 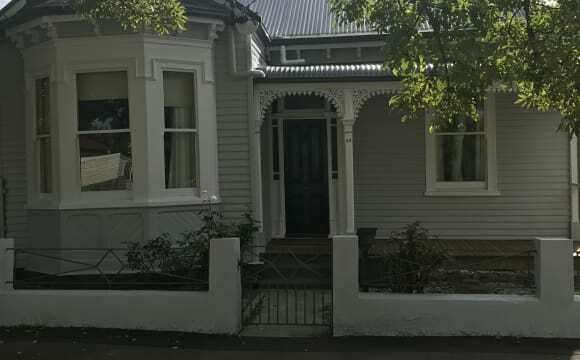 *The House is located very close to the city within walking distance to the LGH, central CBD, supermarkets, cafes and shops. *Unlimited NBN Fibre Internet WiFi *You'll have access to my massive media server with just about every TV show and movies you could want. *Off street parking space with CCTV coverage. *Air Conditioning/heat pump, washing machine, dryer, fridge, dishwasher, TV, microwave are all provided, so you'll just need to bring your bedroom and bathroom stuff. *House is very low maintenance, with a deck, and plants in the backyard. (no grass) *Female applicants will get preference as we have had nothing but problems with Male housemates in the past. *No pets sorry. *SMOKE &amp; DRUG FREE HOME. If you smoke at all, don't bother contacting us. Great house, close to everything and a 5 minute walk to the city. Quiet street. Has ducted heating and air conditioning and a large backyard. 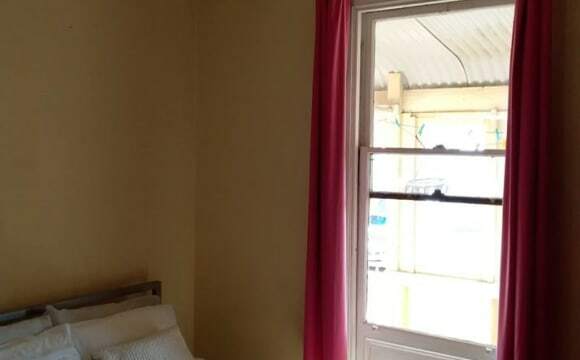 Wanting someone to take over my lease: I have a large, sunny room in a cute older terrace house close to the Launceston CBD. The room comes with a cute balcony for morning coffee (or evening wine!) and a second, smaller, room to use as a study or even for storage/wardrobe space. The property has a renovated kitchen and bathroom. The house is very centrally located: less than five minutes walk to the CBD and cafes, and a five minute walk to the river's edge. Close to Woolworths, Coles, and other shops and only a ten minute walk to the LGH. NBN connected. The property is leased through Harcourt's Real Estate in Launceston and requires approval from the landlord. The townhouse is an old house but has newly renovated bathroom and kitchen, a sizable courtyard with nice views and amazing views from our balcony. The rooms are very large and double brick walls mean you are rarely interrupted by inside noise and can live pretty independently. 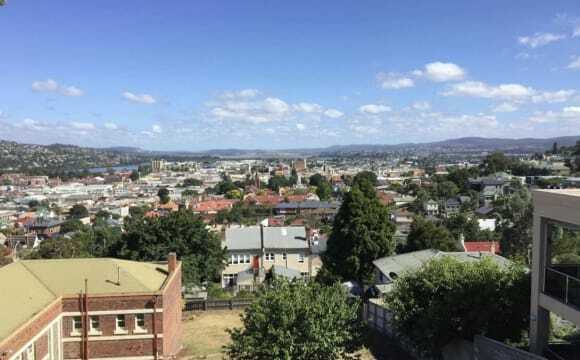 This a huge two storey executive apartment that boasts beautiful views and is located in the heart of Launceston. Only a few minutes walk to the hub of the city and there is a fully equipped gym at street level (Anytime Fitness). We have quality finishes and beautiful furnishings to make this more than a comfortable home. The room is very large and furnished with bedside tables and lamps, walk-in wardrobe, Queen bed, very large en-suit bahroom, arm chair, desk, large TV, and DVD. 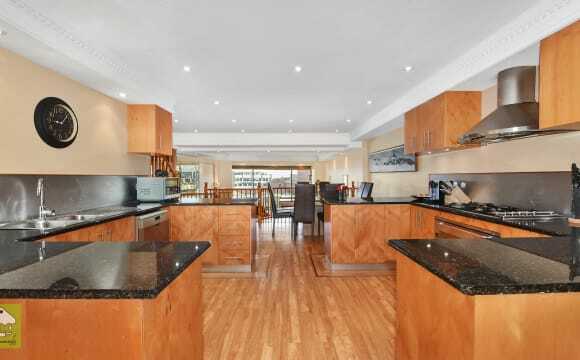 The kitchen is huge and fully equipped with everything including a coffee machine and dishwasher. There are two lounge areas, separate dining area, internal BBQ/dining area, internal laundry with washing machine and dryer and large north facing balcony overlooking the city. There is also air conditioning/heating, storage facility, security alarm system and security cameras to the external areas of the property. A relaxed mature environment and you will look forward to coming home and relaxing after a big day at work. We are looking for a third person to share our excellent accommodation with. Situated in a quiet street in East Launceston within walking distance of the CBD/shopping district, the house is complete with brand new appliances (oven, stove top, dishwasher and microwave - washing machine is in used condition), kitchen and recent extension. Incredibly clean, low maintenance and comfortable. Two bathrooms (one en suite, one main) with spacious bedrooms and well lit living areas. House has efficient and effective ducted heating in all bedrooms with a heatpump for the kitchen/living area. Living area is furnished with space for additional items if prospective tenants wish to bring their own furniture. Large backyard with entertaining space with professional gardening included in the rent. NBN fibre to the node internet (not included in rent). Power also not included in the rent. Retrofitting 4 bedroom house on 3/4 acre patch of Trevallyn Gorge &amp; looking for housemates who share our passion for minimising waste, natural permaculture systems &amp; frugal hedonism. Started orchard last year, established veggie patch &amp; have chooks. 1km from Trevallyn Grocer, First Basin pool &amp; eateries, 3km from CBD (35 min walk or 5 min drive). Peacocks, possums, wallabies &amp; pademelons are regular visitors Country lifestyle with the convenience of being close to the CBD. This property is beautiful, with wonderful views over the Tamar river. It’s extremely spacious, so you won’t feel too cramped or squished in! Plenty of outdoor area if you enjoy spending time outside. 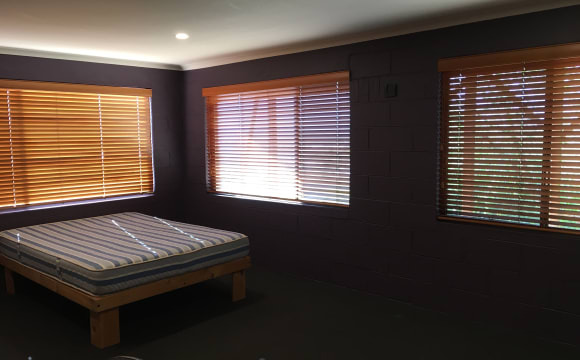 This recently renovated house with 4 bedrooms is perfect for Uni students looking to flatshare. Ideally located within 5min walk to the Inveresk Uni and CBD. 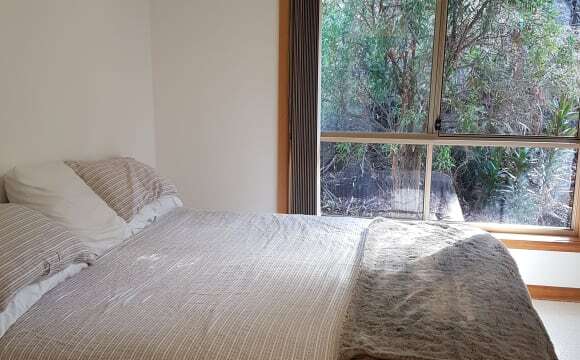 The rent of $130pw includes a large bedroom, water, gas and unlimited internet. Electricity is Pay-as-you-go which is managed by the tenants. There is 1 shared bathroom, a laundry with additional toilet and a large kitchen with fridge, dining table, additional seating and TV. One furnished (flexible) bedroom available now in our beautiful 4 bedroom home. This bedroom is found at the kitchen end of the home, great size with built-in robe. Kitchen, and laundry are shared spaces and this bedroom will have a shared private bathroom with one other room/person. White goods included; no dryer – but we have plenty of heating. 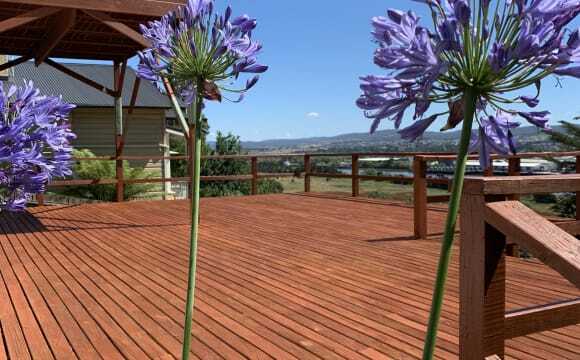 12 minutes from Launceston CBD; 5 minutes from Prospect Vale Marketplace. Plenty of car spots available on the property. We have a sweet Golden retriever that is indoor/mainly outdoor so we are looking for an animal lover! He is super friendly and loving. - Internet up and running - LGBT and smoker friendly (outdoors). What we are looking for: - Working professional - 25+ years of age - Past shared living experience - Food, beverage and dog lover - 1 occupant for the room, no couples. Please send a message with a little bit about yourself if you want to know more about the place, and we will contact you to arrange a time to meet and greet. Reference check and bond applicable. Available is one large bedroom furnished (flexible) bedroom in our beautiful 4 bedroom home. This room is found at the kitchen end of the home, great size with built-in robe. Kitchen, laundry, home theatre room and two living spaces are shared, this room will have a shared bathroom (shared with 1 other female). White goods included. 12 minutes from Launceston CBD; 5 minutes from Prospect Vale Marketplace. Plenty of car spots available on the property. I live here because I am studying in UTAS, 5 minutes to school and 5 minutes to Coles. This is a renew house, almost everything is new. We have garbage, garden, lovely living room, dining room, big bathroom and many. It is a good house, when you inspect It you will love it soon. 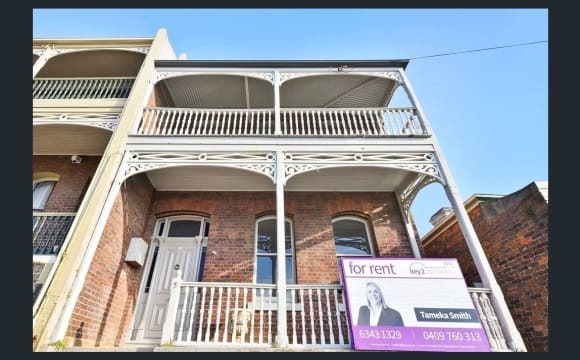 An opportunity not to be missed as this house is located in the prime location of Mowbray which is right beside the UTAS Newnham campus (1min walk), (3-4mins) walking distance to Mowbray market, coles, woolworths and other restaurants like hungry jacks, KFC, subway, Dominos etc.. The internet is $15 every month, other utility bills are very cheap as it runs on gas and split between four people which approx. will be around $30-$40 every three months. This beautiful family home is half way along Parklands Parade with views of the Golf Course and a kitchen set up that allows you to throw the windows back and access the outdoor dining table on deck. 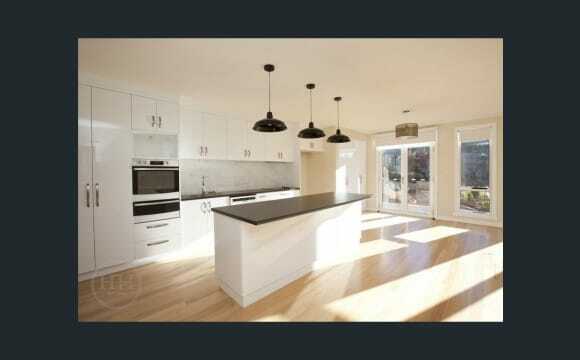 With quality appliances you will be the envy of your friends with this entertainers dream. Downstairs has a double garage underneath with plenty of storage space and the home was built with quality fixtures and fittings and immaculately presented gardens top off a beautiful family home.